Is there a silver bullet for lead generation? It’s unlikely. Does the method you use for generating new business work consistently? And, is that for ever? The reality is that nothing is guaranteed. Even agencies that ‘guarantee’ leads are often criticised for providing poor leads that don’t meet agreed criteria. The thing is that lead generation is difficult. If it was easy, everyone would quickly find that hidden pot of gold. Lead generation comes in many forms. For example, some might say that it is the creation of a cast-iron opportunity to do business with a prospect that’s in the market for your products or services. That’s the best lead in my book. But they come at a premium in terms of time & cost. Whether that’s an investment in outbound techniques such as telemarketing, email marketing or direct mail, inbound marketing such as content development & distribution or measures such as exhibitions, we all want fully rounded sales leads to be driven into our arms. You see, leads can be at various levels of warmth & timeliness. You have to face facts. Not everyone is ready to buy from you now. Many prospect purchases have long gestation periods. Those gestation periods are likely only to be communicated by direct conversation with the purchaser where they advise you when they may be looking to conclude a purchase or review suppliers. By virtue of that interaction, that suggests some form of direct communication is needed. That’s often the case especially for higher value of sale purchases. 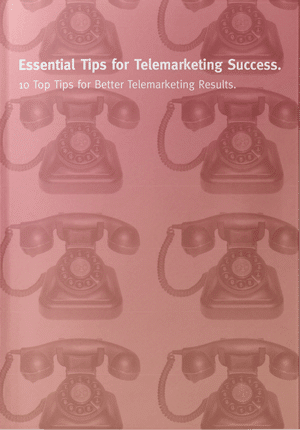 Hence, traditional marketing methods such as telemarketing work well for the scenarios above. But, as we mentioned earlier, in an ideal world, you want your customer to find you & to seek you out. It’s cheaper & more effective if the customer is already looking for your kind of services & has sought you out. What intrigues me is the assertion from many that social is a key part of the sales funnel. The implication is that by being ‘on social media’ you’ve a greater chance of channelling lots of leads into your large funnel. In our opinion that’s false. Being ‘on’ social media means nothing. Buyers make the same determination of you, your business & your products in an online environment as they do if they meet you face to face or speak to you on the telephone. The question is whether they like to look of you. The key factors are credibility & visibility. &, those come at a price. Not only because organic reach has diminished but also because the quality of your content on social media is crucial. It’s not so easy these days to push out one single blog & hope everyone sees it, engages & shares. Those days have gone. Nowadays, you need to populate your profile & company pages on LinkedIn with interesting content that prospects genuinely want to read. Increasingly you need video. That’s been the case for a while on platforms such as Facebook & Instagram. Social without content is like a guitar player without their guitar. You may well be a great guitar player but no-one would know if they don’t hear or see you play or at least see you in pictures with your guitar. They won’t be aware of your skills if you don’t post stuff about your guitar playing. You need credible content that gets shared. Over time, like osmosis, your potential prospects get to know you. They come to understand you can deliver results in your area of business and expertise. They start to see you regularly &, ultimately, when they do have a need, you will feature in their beauty parade of new suppliers. 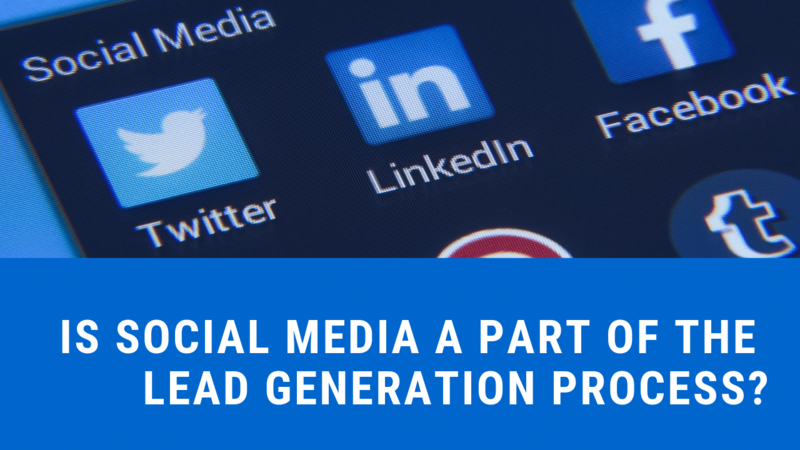 So, is Social part of the sales pipeline? In our opinion, whilst you can’t consider social media as a method of marketing, it is a channel and it is the way many of us choose to communicate these days. As such, and given that your target audience uses social channels to look for information, education and fun, you’d be foolish to ignore the power of social media. Are all social platforms born equal? Almost certainly not. Twitter has a different purpose to Instagram which, in turn, is different to LinkedIn. Hence, one size doesn’t fit all. You need to consider where your customers congregate. You need to look for influencers who can carry (share) your message with others. But, above all, remember that social won’t work without content. Content is king. You won’t gain the credibility and visibility and get on supplier shortlists if your content is poor or absent and your profile is lacklustre. So, spend time on content first so that you can get head of the pack. It won’t happen overnight. That’s both for your content and the results. It takes time and money to generate interesting stuff that people want to view. Equally, just because you’re visible doesn’t mean prospects will champ at the bit to race to your door. You need to engage. On LinkedIn, you need to build your network of relevant connections. And, you need to take conversations offline once you do engage. What’s more, a blend of inbound and outbound is the perfect scenario. For example, pick up the phone to interesting connections. Invite people to your webinar or seminar. Send them a piece of creative direct mail. If you don’t, you may have a long wait if your social presence isn’t up to scratch.